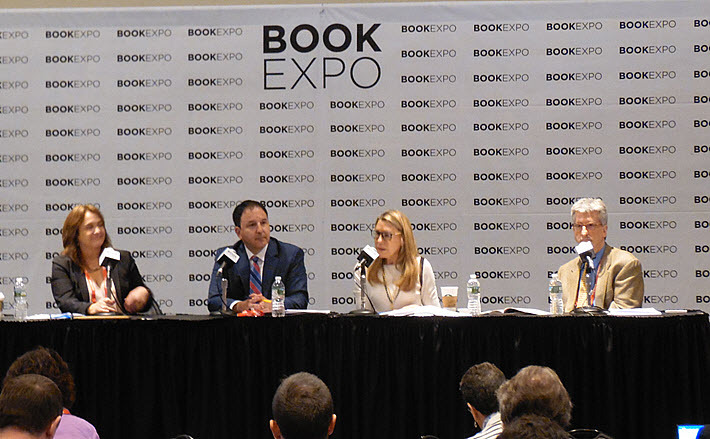 ‘Good public policy,’ the Association of American Publishers says at BookExpo, includes “good copyright policy.’ And the Authors Guild is producing a new, major survey of authors’ earnings. Pallante was joined on the panel by Authors Guild executive director Mary Rasenberger, by the Copyright Alliance’s Keith Kupferschmid, and by the Associated Press’ Hillel Italie as the session’s’ very able moderator. Both Pallante and the guild’s Rasenberger have extensive backgrounds in copyright and intellectual property law and policy. And in her comments, Rasenberger said that while it seems odd to someone like her who has spent her career in copyright law, “Authors spend very little time on it” except when an issue comes up that requires them to defend their work or when their rights are infringed. “Copyright is the sole mechanism, the foundation of the marketplace,” Rasenberger said, by which “authors can monetize their work in a free market. It’s what makes it possible for authors to make a living writing what they want to write instead of writing what an employer wants them to write. “Copyright starts with the author. It is an author’s right.” Indeed, in some cultures, she said, it’s referred to as such, as “authors rights. 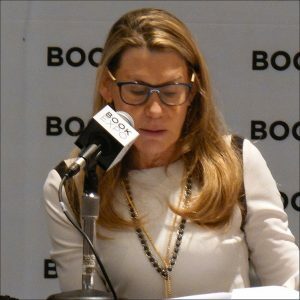 “But even though it starts with the author,” she said, “in publishing, authors are actually at the bottom of the money chain. And the reason for this is that it’s the one negotiable line in the budget. So when the total money diminishes, it’s the author who suffers. And they are suffering. Pointing to the AAP’s first-quarter StatShot report that indicates “publishers are doing okay,” Rasenberger said, “This is interesting because authors are not doing okay. 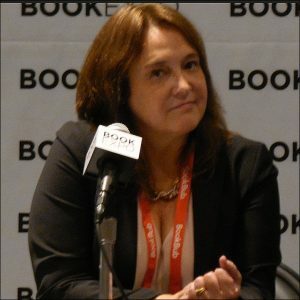 A survey made three years ago, Rasenberger said, showed that authors “are having to spend more than 10 hours or more per week on marketing” books that publishers don’t support fully with their own marketing programs. Some authors, she said, are having to hire marketing help. That last round of survey work showed that authors’ incomes from their writings had declined by 30 percent on average since 2009, Rasenberger said. Such revenues for an author on average appeared to be declining from $25,000 to $17,500. As various copyright hotspots around the world open up—many covered by Publishing Perspectives, and with the Canadian Copyright Modernization Act of 2012 as the most egregious example, currently—various threats to protections for intellectual property are becoming more frequent and concerning, frequently involving fair use exceptions legislated into copyright policy. As Pallante said, “There is no question that technology informs the law, but sometimes it creates gaps that can only be fixed by rebalancing the interests and equities of all involved. “We are, right now, in the midst of doing a new survey,” Rasenberger said. The survey, she said, will be going to those authors within a couple of weeks.